However, the structure of DNA is very simple and lacks the diversity of proteins that make up most natural cages, like viruses. Unfortunately, it is very difficult to control the assembly of proteins with the precision of DNA. That is, until recently. Nicholas Stephanopoulos—an assistant professor in Arizona State University's Biodesign Center for Molecular Design and Biomimetics, and the School of Molecular Sciences—and his team built a cage constructed from both protein and DNA building blocks through the use of covalent protein-DNA conjugates. 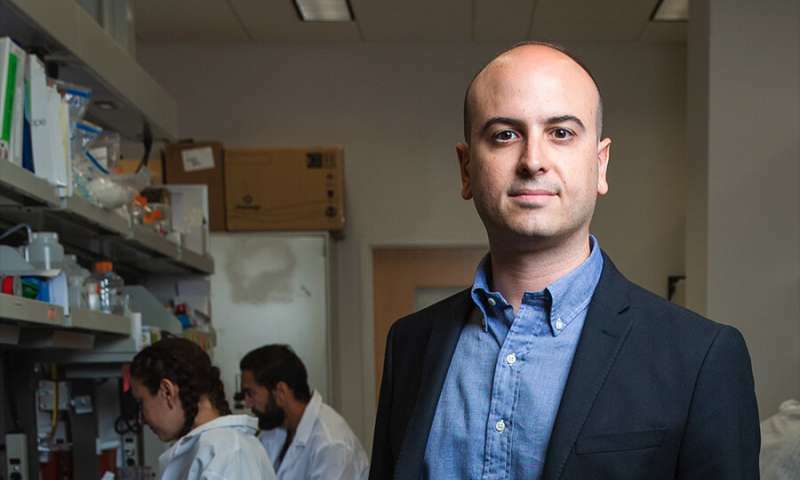 Stephanopoulos and his team see an opportunity with hybrid cages—merging self-assembling protein building blocks with a synthetic DNA scaffold—that could combine the bioactivity and chemical diversity of the former with the programmability of the latter. 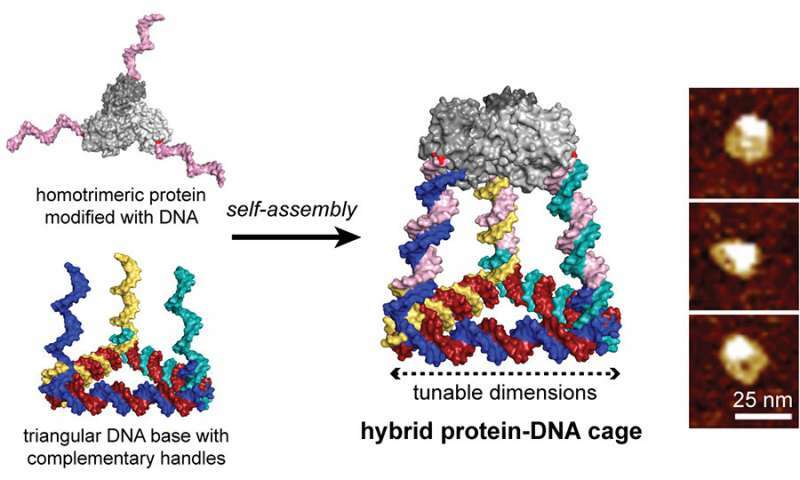 And that is what they set out to create—a hybrid structure constructed through chemical conjugation of oligonucleotide (a synthetic DNA strand) handles on a protein building block. The triangular base bearing three complementary single-stranded DNA handles is self-assembled and purified separately by heating it to alter its properties.